Magnus Colcord "Rusty" Heurlin was born July 5, 1895 in Kristanstad, Sweden. His father, Berndt Felix Heurlin, was born in 1859 in Sweden. His mother, Sofie Annette Bjorklund, was born 1864 in Sweden. His parents married in 1892 and had two children, Anna L. Heurlin (b.1893), and Magnus Colcord Heurlin (b.1895). In 1896 the family moved to America and settled in Wakefield, Massachusetts, where they lived at 2 Nichols Street. The father worked as Clerk at a Cold Storage Company. In 1898 his parents had their third child, Ingrid M. Heurlin. In 1903 his parents had their fourth child, Greta Heurlin. 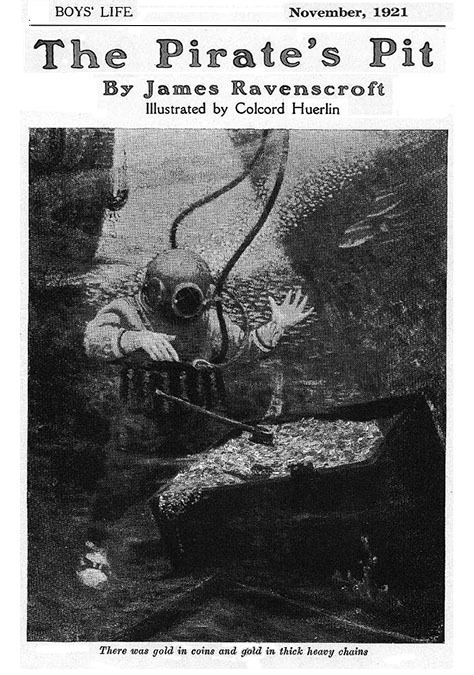 In 1914 Colcord Heurlin attended the Fenway School of Illustration in Boston, MA, where his art teacher was Harold Mathews Brett (1880-1955), who was also Director of the newly-opened school. In 1916 Colcord Heurlin traveled to Seattle, Washington, by steam ship and then visited Valdez, Alaska. On June 15, 1917 during the Great War Colcord Heurlin registered with his draft board. he was recorded at the time to be of Medium height, medium build with light blue eyes and light red hair. He joined the Navy and served in the Naval Railroad Batteries in France as an orderly to Admiral Plunkett, and was honorably discharged on March 21, 1919. After his return to America he resumed his art training in New York City at the Grand Central School of Art, where he studied with Harvey Dunn and Howard Smith (1877-1954). 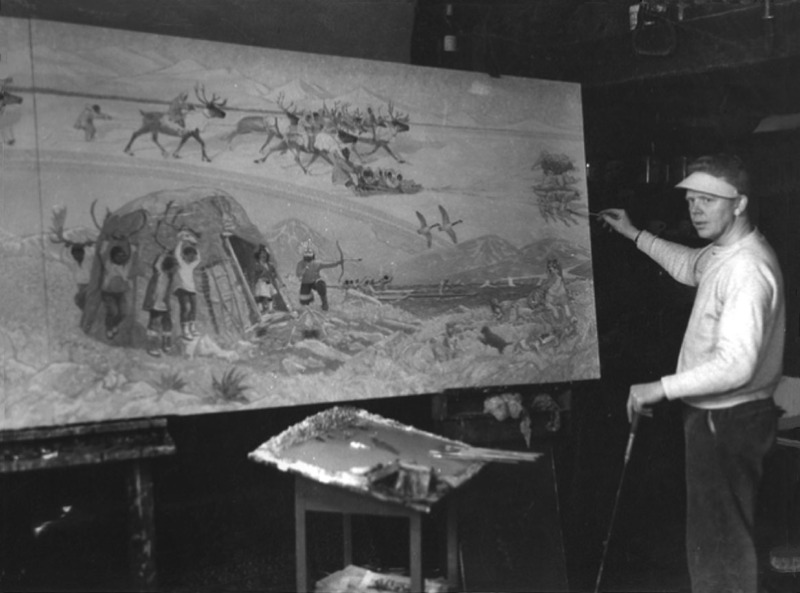 N.C. Wyeth visited the school to conduct a seminar class in advanced painting. 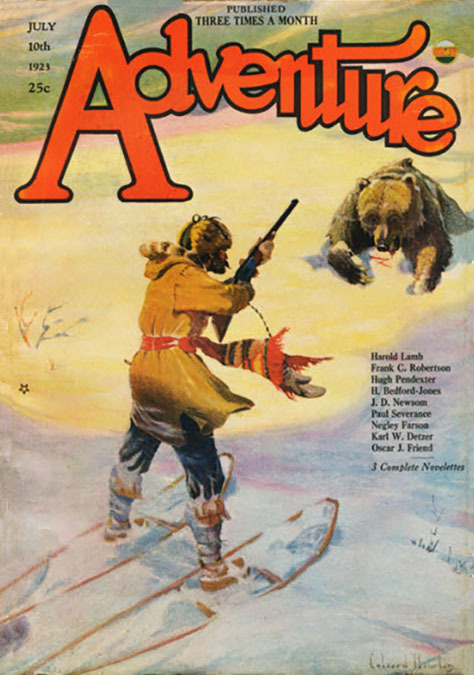 In 1921 he began to illustrate adventure stories for Boy's Life, The Open Road, Everybody's, and Outdoor Stories. 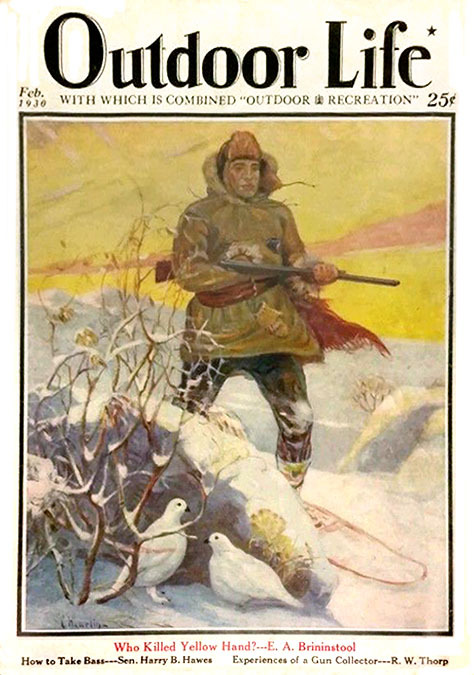 In 1922 he again visited Alaska, where he explored hunting and whaling traditions among the Inupiat Indians around Barrow Point. 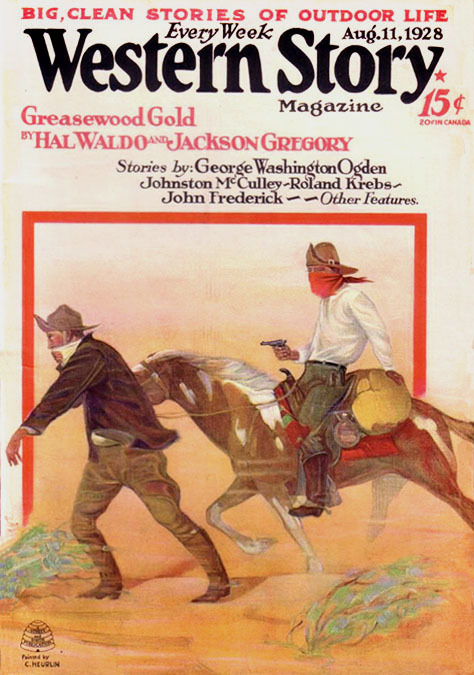 When he returned to his parent's home in Massachusetts he entertained a benefit party at the local church with Guitar playing and rope tricks he learned out West. 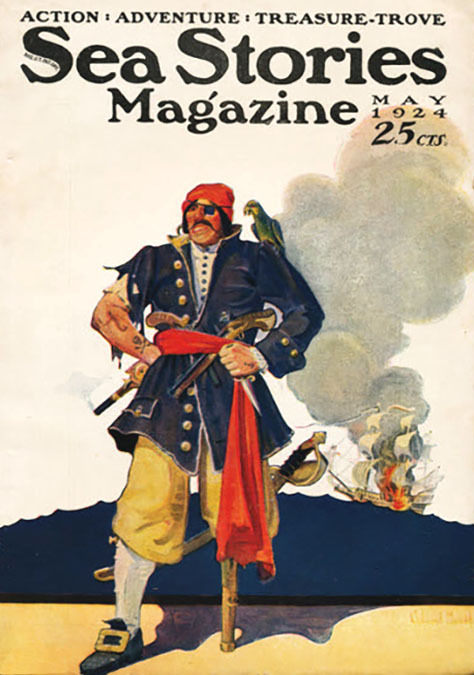 From 1923 to 1933 Colcord Heurlin painted covers for pulp magazines. 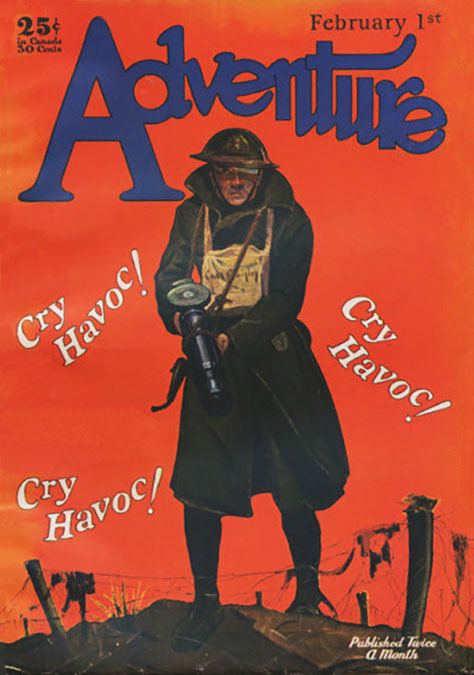 His work appeared on Adventure, Aces, Flying Aces, Complete Stories, Everybody's Combined with Romance, North-West Stories, The Popular, Short Stories, Sky Birds, Sea Stories, Top-Notch, War Stories, and Western Story. In 1933 Colcord Heurlin moved to Westport, Connecticut, which was a community popular with artists. His neighbors at that time included Remington Schuyler, Charles LaSalle, Leland Gustavson, Ralph Nelson and McClelland Barlcay (1891-1943). 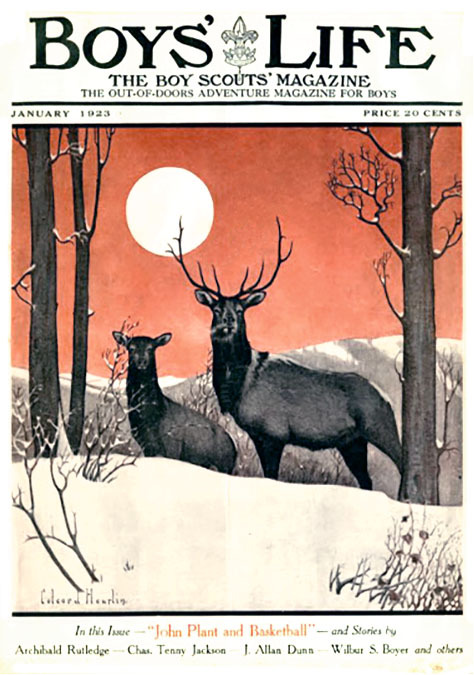 On February 8, 1935 The Norwalk Hour newspaper of Connecticut reported "WPA artist Colcord Heurlin is working on an oil painting that will depict a panorama of arctic life." He returned to Alaska in 1936 and lived outside of Fairbanks in the gold mining village of of Ester. He worked at Independence Mine for the Fairbanks Exploration Company. He lived and worked in a tiny art studio in the hills of Ester, which is near to Fairbanks, Alaska. His only address was P.O. Box 822 in Anchorage, Alaska. According to the artist, "I lived in many parts of the Alaskan Territory where I worked as a fisherman, miner and hunter both to earn a living and to learn about the people. 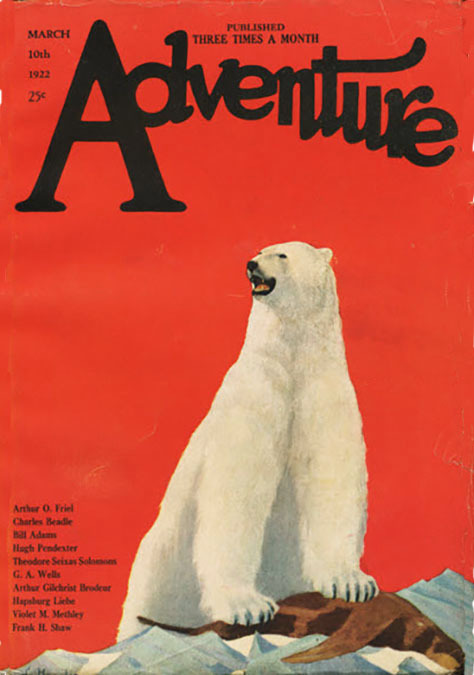 I also spent four seasons whaling along the Arctic coast from which I drew subjects for some pictures." On May 20, 1942 during WWII Colcord Heurlin registered with the selective service as required by law for all male citizens between the ages of 18 and 65. He was forty-six. He was recorded at the time to be a freelance artist working of his own accord. 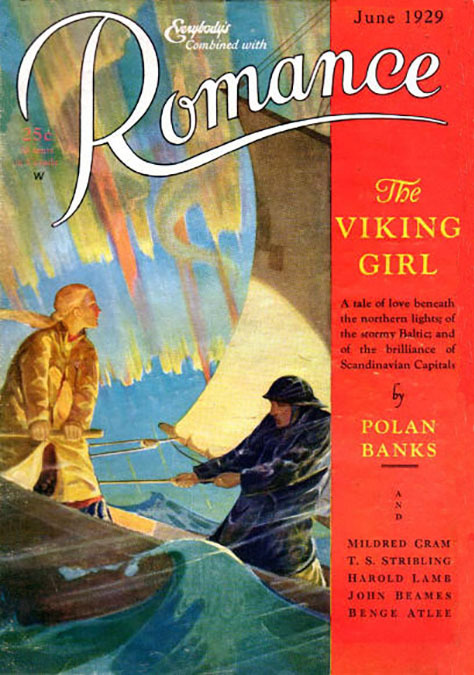 He was six-foot-one, 190 pounds, with blue eyes, red hair and a ruddy complexion. He served as a Captain in the Alaska Territorial Guard. He was a rifle instructor and helped to organize the supply of guns, uniforms and training to Eskimos along the Northwestern coast for protection against Japanese invasion. 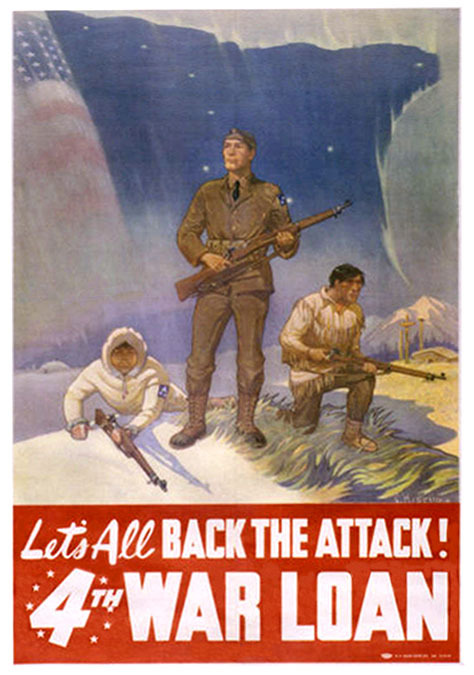 He also painted several patriotic posters for recruitment and sales of War Bonds. In 1945 Colcord Heurlin taught art classes in a public high school at the Eskimo colony in Point Barrow, Alaska. According to the artist," There are many promising artists among these students. I've never seen such appreciation of color." 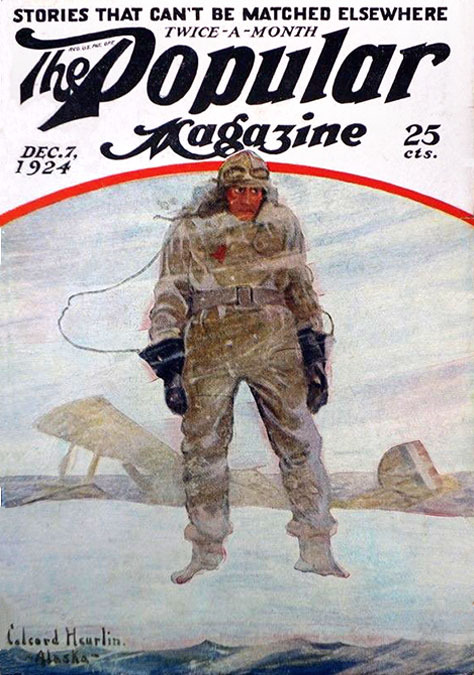 In 1951 the Eskimo Indian colony of Point Barrow Alaska was stricken by a devastating epidemic of influenza and pneumonia. According to the Office of Indian Affairs "Colcord Heurlin administered sulfa pills to the sick natives and saved probably hundreds of lives." In 1951 Colcord Heurlin was the judge of a high school student art contest. On February 24, 1952 Colcord Heurlin married Anne Downer Severin at the University Community Presbyterian Church in Fairbanks, Alaska. She was born in Davenport, Iowa on September 9, 1909. She was forty-four at the time of the marriage, while the groom was fifty-seven. She worked in the Alaska Territorial Employment Service. 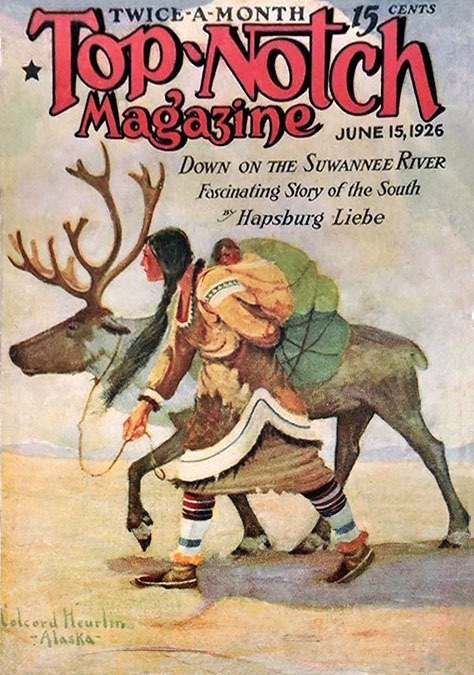 Her nineteen-year-old son from a previous marriage, John Severin, lived in San Francisco with his wife and son, Jimmy Severin, who spent his summer months with his grandparents in Ester, Alaska. In 1955 Colcord Heurlin taught introductory drawing to students at the University of Alaska in Fairbanks. He was the school's first art teacher. According to the artist, "Art is a simple method of telling a story. It is no different from music, writing, or any of the other arts. Robert Henri, whose teaching resembles Howard Pyle's, expressed this fact very well in his book 'The Art Spirit.' Anyone can draw if they possess the interest. Talent is nothing other than the results of applied interest." 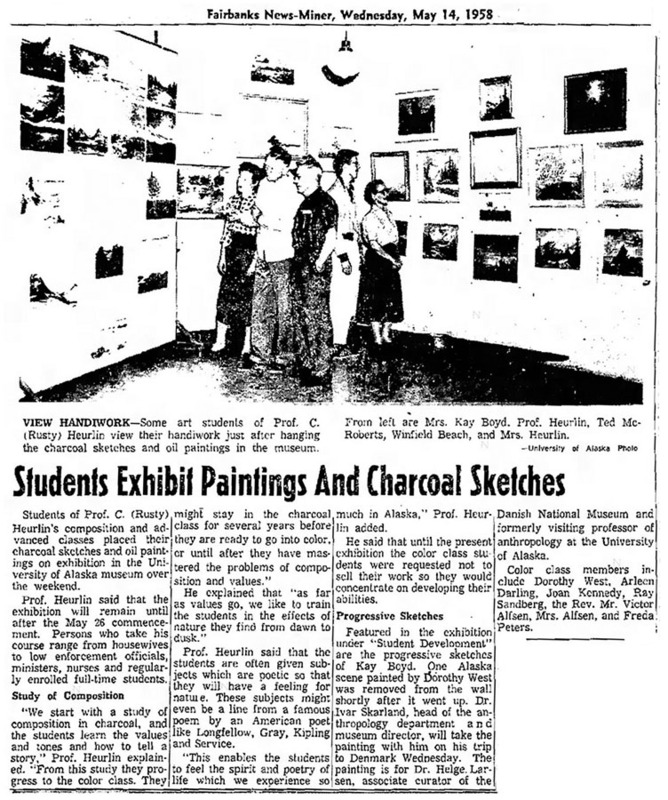 On May 14, 1958 The Fairbanks News-Miner reported on a popular exhibition of student work from his drawing class. 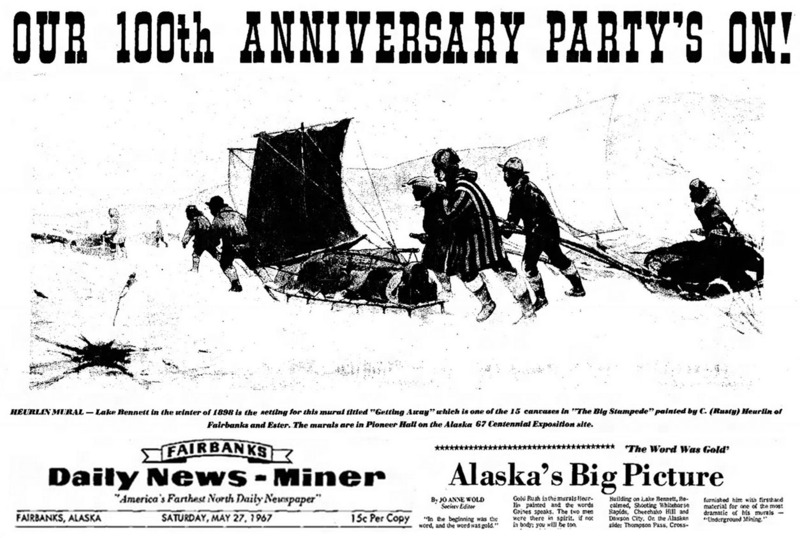 In 1967 Alaska celebrated the 100th anniversary of its founding. The Governor commissioned Colcord Heurlin to paint fifteen panoramic scenes from the era of the Gold Rush. 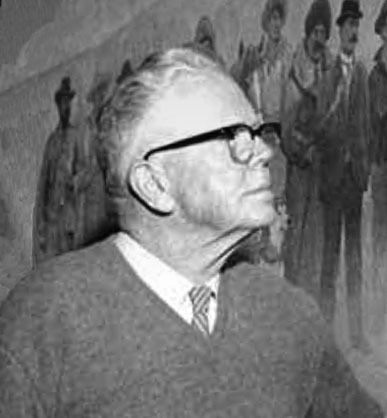 His historic mural remains on permanent display at Alaskaland. 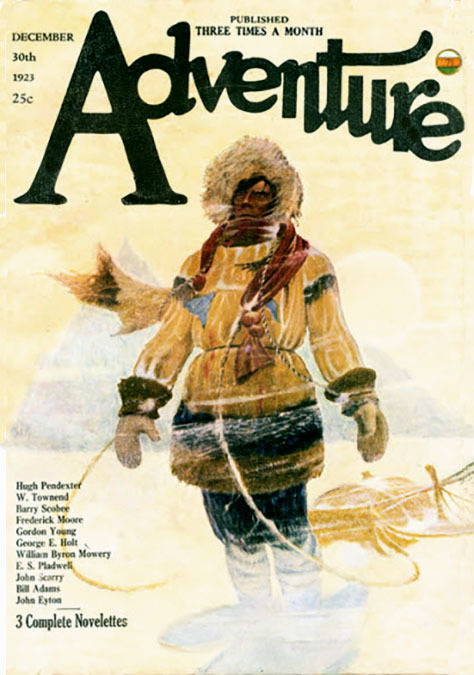 In 1970 he painted an impressive mural for the University Library of the historic discovery of Alaska by world explorers. On May 12, 1971 Colcord Heurlin received an Honorary Doctoral Degree in Fine Arts from the University of Alaska. On September 15, 1971 Colcord Heurlin's wife, Anne Dower Heurlin died in San Francisco at the the age of sixty-three. In 1973 Colcord Heurlin was commissioned to paint a mural of the progress of Eskimos from the stone Age to the present for the University of Alaska. Colcord "Rusty" Heurlin died at the age of ninety in Ester, Alaska, on March 10, 1986.